The major benefits associated with a more complex computer control system at a fraction of the cost. 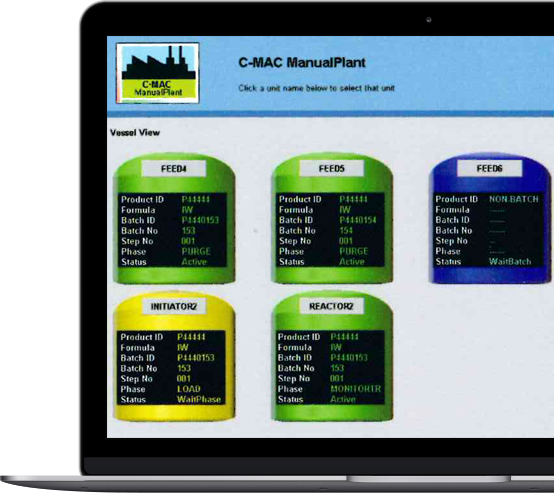 C-MAC ManualPlant is a software package which provides centralised management of production processes. Fundamentally the package is intended to replace a paper based instruction system with an electronic (PC based) one. It is designed to guide process operators safely and accurately through production activities and to record actions and results, making it easier to analyse and optimise production and to comply with regulation. It can be used on any plant, large or small, wherever there is a degree of manual operation. 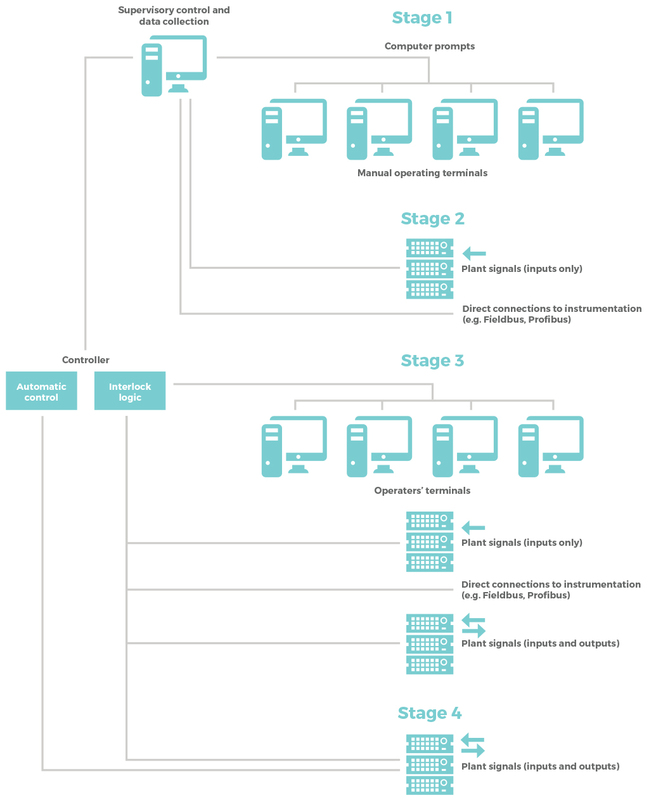 With ManualPlant, every stage of the production process is defined for the operator. It specifies acceptable parameter ranges (such as charge weights, temperatures and pressure) and insists upon and records operator responses, checking at the time that they are within acceptable limits. Information is presented simply on convenient display terminals and responses are keyed in. The entry process is designed to minimise operator keystrokes. The package runs on standard PCs (which can be networked if required) and is based on customers’ existing manufacturing methods and production practices, using local terminology and language. Instructions related to safety and correct materials handling are highlighted at the appropriate times. A range of analysis and display features allows management views of current and historical production records. Since all the information about the production of each batch is recorded in a secure server, it can be used for the analysis of production over time, with a view to optimising the entire manufacturing process. Our COBRA analysis system, with its wide range of ready-built tools, can be added to ManualPlant to simplify the analysis process. C-MAC ManualPlant can be used on plants which are entirely or partially manual in operation. It will also provide many advantages where a degree of instrumentation or stand-alone automated control already exists, for example, temperature logging or a PLC. At whatever stage it is introduced, it can be easily enhanced to accommodate increasing levels of automation as part of a planned expansion strategy.